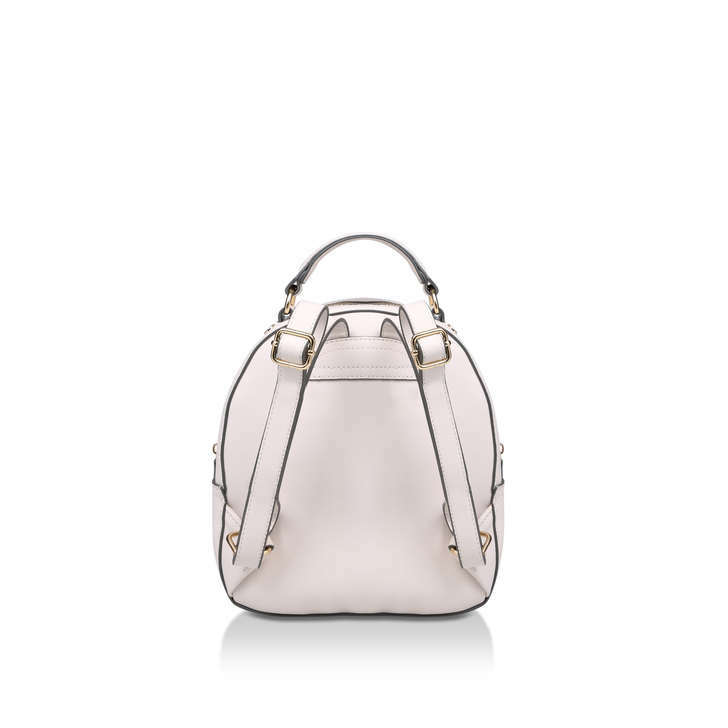 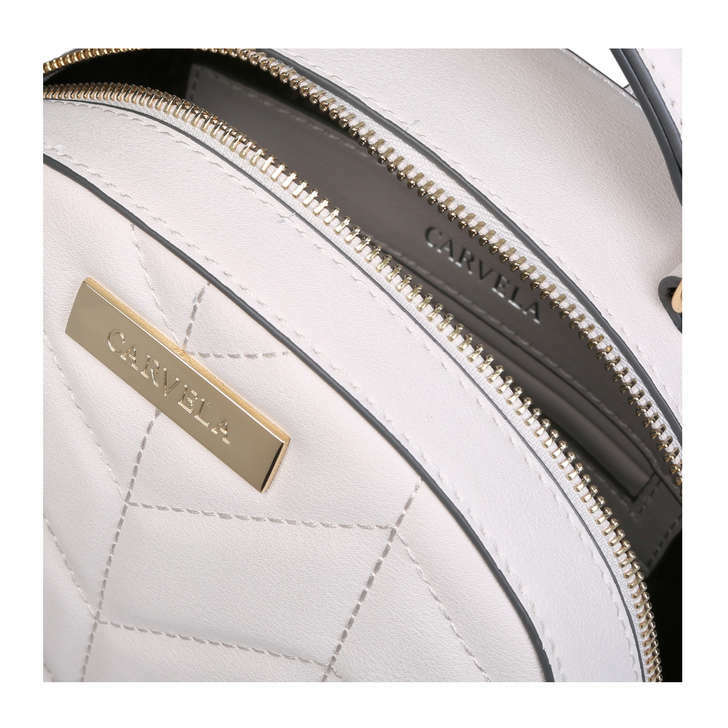 Pick up a hit of chic practicality with the Boule Mini V Quilt Backpack from Carvela. 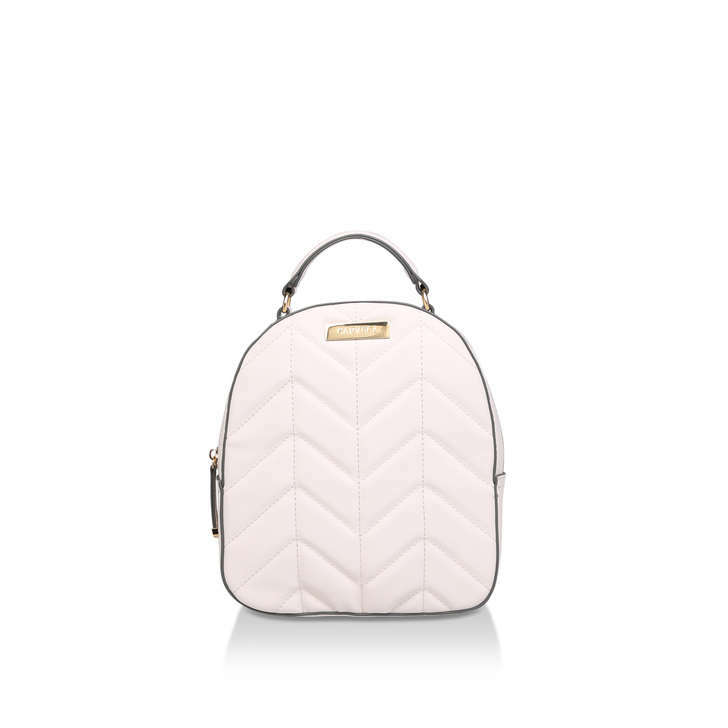 A mini version of our Bossy Quilted Backpack, the Boule Mini arrives with adjustable shoulder straps and a quilted cream design. 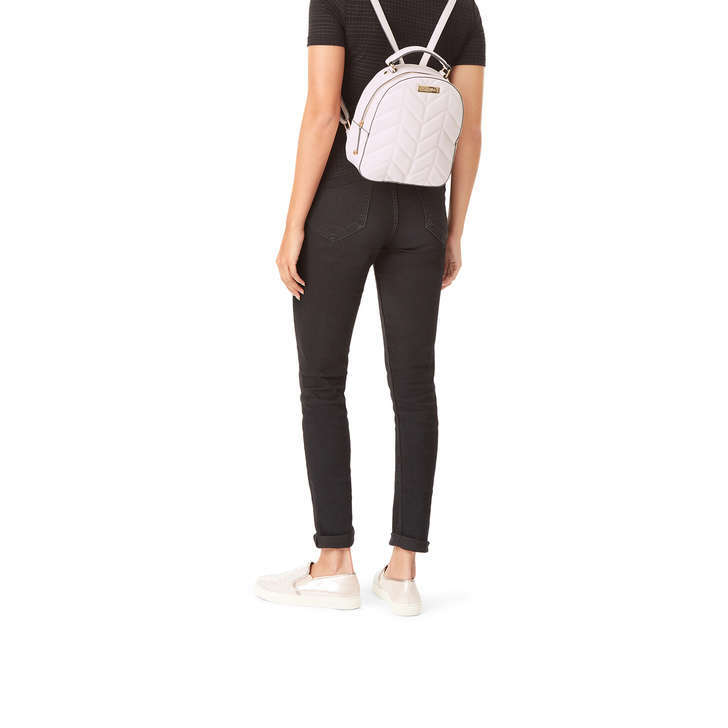 Finished with branded gold hardware for trending edge.